Egyptian actor Said Saleh died on Friday 1 August, morning, Al-Ahram Arabic news website reported on Friday. In a recently televised interview, he expressed his disappointment about the current state of Egyptian theatre, complaining it had declined from the height it had reached in the golden years of the 1960s and the 1970s. Although his appearances on the stage declined over time as he worked on more films, in recent years he had stated his desire to return to the theatre. 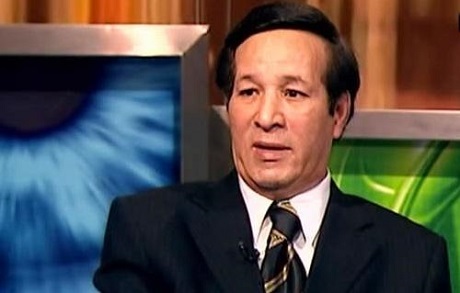 Saleh found himself at the centre of controversy more than once in his life on account of his outspoken views, and his criticism of the government led to his imprisonment in the early 1980s. Media reports often highlighted his drug use and his second marriage to a woman 30 years his junior, after he separated from his first wife. In 2010, the Supreme Council for Islamic Affairs in Egypt sent a formal complaint to the prosecutor-general, requesting that Saleh be banned from making any appearance in the Egyptian media, citing what they described as statements made by the actor that were against Islam. By that point, Saleh was suffering from severe ill health, having had open heart surgery in 2005, a stroke in 2010 and suffering from diabetes. According to sources, his recent health problems were related to a stomach ulcer and severe anaemia. He passed away at a Cairo hospital on Friday at the age of 76. He is survived by a daughter from his first marriage, Hind.